As Joel Watts pointed out a couple days ago, an anonymous person who claims to be part of the “team” investigating the Jordan Lead Codices has begun a Facebook group dedicated to them. As you might expect, the page presupposes the antiquity of the texts on the codices and asserts that the only people on the planet who are capable of reading the script (totaling five in number) are producing translations as fast as they can. “Stay tuned!” they advise. 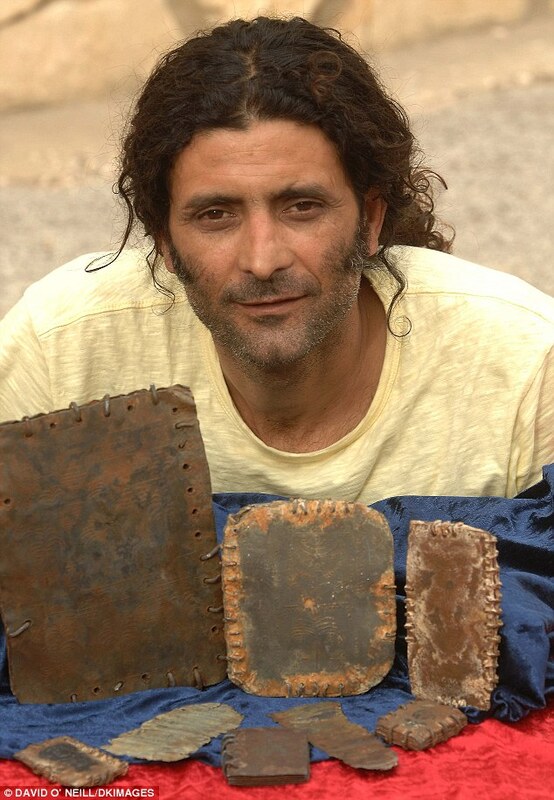 Approximately two months ago, Hassan Saida, the Israeli Bedouin who smuggled the Jordan Codices into Israel, telephoned to inform the team that he and his cohorts had made 500 forgeries of various of the codices and put them into the Jerusalem market. We didn’t think too much of it as he tells lots of tales; however, one of team members was sent these two photographs by someone who purchased them in Israel. To those who have seen the real McCoy, these were obvious forgeries. However, even comparing them to the posted photographs, the difference is all too apparent. Below are some observations made by one of the metal experts assisting the team. We expect more will materialise in due course. 1. The holes are too clean. 2. The beige ‘corrosion layer’ looks like it has been sprayed on and then cleaned off. 3. The holes have raised edges and looks like they have been punched hard all together against a die with a slightly larger diameter. Not like the originals. 4. The drawing on the tree is too fine and crisp – the detailing seems wrong – it is almost like they have been cast onto a harder material than the originals. It is also possible that these have been pressed and then distorted – the best indication would be a view of the reverse of each sheet and seeing if there is variation in the thickness of the metal from casting. 5. The edges look like they have been cut round the pattern very closely – particularly the dots – not the same as the previous ones which were not cut cleanly around a pattern. 6. The format looks wrong – too long and thin. 7. The seals – look like they have been struck at the ends – like coins. I didn’t see any of that before. 9. They do not have the same build up of accretions of scale and calcium. 10. There is little or no evidence of wear or pressure based slow distortion – although there are a few damaging marks. Some of the wear may have been introduced on the mould. Unlike the originals, which looked like they were cleanly cast and then deteriorated over a long time. 11. The seals have been put on after the corrosion layer has been sprayed on and cleaned off. There should be layers of corrosion sealing them in to the surface. 12. The wires look hammer beaten – not a bad representation. 13. There are a few areas where the ‘blue’ of the lead shows through. I can’t see the backs but your sealed books were sealed a very long time ago and opened up to clean and shiny lead – I bet these don’t. I wonder if there are any rotational tool marks or bypass shear ‘seams’ along the edges where they have been cut. The handwriting is very different and looks a bit too random. I haven’t attempted to look at the symbols – although they are more ragtag. I would say that a different person did the drawings from the script – they just look different. The 8 pointed stars have 12 or 16 points. Some of the other symbols are slightly different and may have a completely different meaning or interpretation. I would also reckon on the metal still being malleable. Not hard, flakey and cracking. I expect they also smell and taste different. These may have been dipped in acid and coloured with mineral pigments. OK, I might be taken in if I hadn’t seen all your photos. But they don’t look right to me. A good mishmash of some of the symbols and text on the photos you and others have published on the Internet. Several things are problematic with this development, as other bloggers have already noted. In addition to these concerns, though, it seems off to me that the metals expert quoted in the post is ostensibly commenting authoritatively on the script as well, stating that the symbols “may have a completely different meaning or interpretation” (as if forged symbols mean something different), and that the “handwriting is very different and looks a bit too random.” There is no tree and there are no symbols on the plate in the photograph, though. The post states two photos were provided the “expert,” but only one appears on Facebook. Perhaps there is another we’re not being shown. Is this an attempt to account for the exposure of other codices as modern forgeries? If so, it falls well, well short of explaining the numerous genetic relationships shared between the script and iconography of the Thonemann codices and the others being promoted as genuine (see my discussion here and here). It also produces a rather unique codex that has little relationship to the other demonstrable forgeries. I can’t say the “team” involved in the promulgation of this hoax is impressing me with their craftiness. many serious far more discreet scholars have seen the works and the real finder and owner is more than happy to supply photos free of charge and to be interviewed. This is obviously another cast image that was reused on a number of plates. The writing below the menorah in the image is meaningless, as far as I can tell. That the images on these plates are modern productions is, in my opinion, pretty much beyond dispute. Dr. Northover’s analysis supports an ancient provenance for the lead, but as others have pointed out, and as he stated in a note to me, there is quite a bit of ancient lead lying around, and the composition of the lead does not necessarily indicate the antiquity of the codices. – How did you originally come to possess the codices, and were you told where they came from? – When and how did Mr. Elkington become involved? – Did you give Elkington any or all of the codices, and if so, how long did he have them? – Did Elkington arrange for the metallographic analysis with Dr. Northover at Oxford or did someone else? – How much money did Elkington end up charging for his services? – Who is currently in possession of the codices? 1. As I said before we trade Hay and Horses on the Jordanian Border. We met and befriended a taxi driver and the story started from there. In fact as you have probably guessed it I was the one who first made the contact and first got the books. Hassan later got involved. Ilan also sent me a copy of a report that analyzed the codices, reportedly produced by David Elkington. It can be found here. I cannot fully vouch for the story presented above, and I don’t know anything more about Mr. Shibli than what he has told me (and what my computer tells me about where his computer is), but the photos provided should show that this individual has unique access to the codices, or at least photographs of them. Take that for what it’s worth. EDIT: Another thing Mr. Shibli stressed on several occasions that should be noted is that he has never tried to make any money off of the codices or their photos. He has provided them free of charge to those who ask, provided he is credited. He’s not a biblical scholar, he’s a Greek classicist. Dismissing the provenance of the books on the basis of two low resolution photographs by e-mail is out of order. We welcome healthy debate but it is not very helpful for anybody to dismiss it on such little evidence. First, whether Thonemann is a biblical scholar or a Classicist is of absolutely no import whatsoever. Next, you’ll notice the article calls Elkington an archaeologist and a biblical scholar, but he has no training in either field. 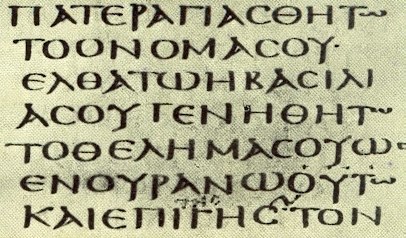 The text is Greek and Thonemann happened to identify the text’s undeniable source. Elkington does not even address the criticism. He simply takes a shot at Thonemann’s credentials (!) and then states that there is too little evidence for a firm conclusion. Besides Elkington’s bad form, I am quite disappointed in the lack of journalistic integrity that is displayed in this article. First, the author simply took Elkington at his word regarding his credentials. Second, Elkington’s two criticisms of Thonemann’s analysis are, for lack of a better word, utterly asinine. It simply does not matter what the resolution of a photograph is if that photograph can conclusively show the dependence of the inscription on the plate in the photo to another inscription. I am disappointed that a journalist felt this kind of retort merited the forum it was given. Lastly, the article ignores several other actual scholars who have chimed in on this based on more than just two photographs. It seems to me the article is meant more to keep a controversy alive than to report the news. Peter Thonemann has published an article in the Sunday Times discussing his relationship to the lead codices and the response of the media. Have a look! The bracketed portions make no sense out of the context of the rest of the inscription. 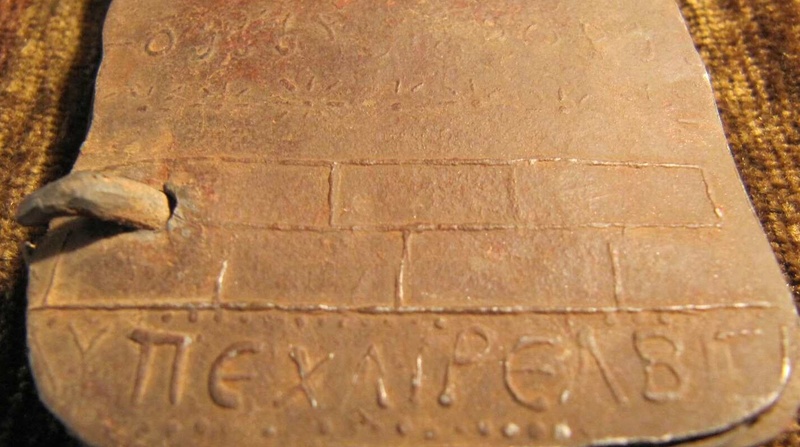 It seems the person responsible for the copper plate copied the entire second line off the inscription and then used portions of it on other plates. This indicates the copper codices are modern forgeries. 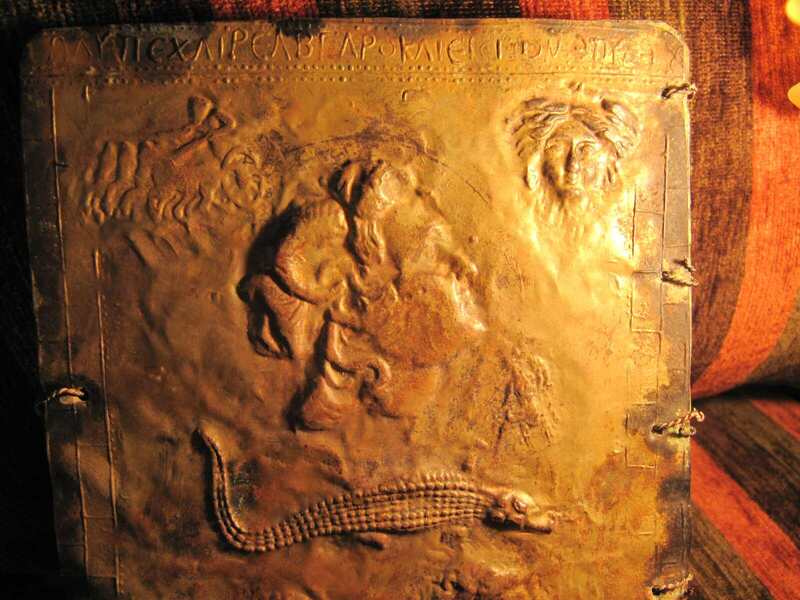 The above also shows the codices were cast. The two-and-a-half registers on this plate are identical in every detail. The same set of images was pressed into clay three different times for a mold. The bottom half of the top register has been smoothed out to allow for the register below, showing it wasn’t stamped. Notice also the same cryptic script, which looks like stylized, and sometimes reversed, paleo-Hebrew (see here for a brief judgment by an expert). The casting looks identical too. Bill Hamblin has also shown the Jesus portrait on this plate is strikingly similar to the image on ancient Helios coins. The copper plate also seems to have an impression of an old Alexander the Great coin with the lion headdress, which Hamblin discusses. These plates are all the work of the same hand, and the copper plate shows that that hand is the hand of a forger. 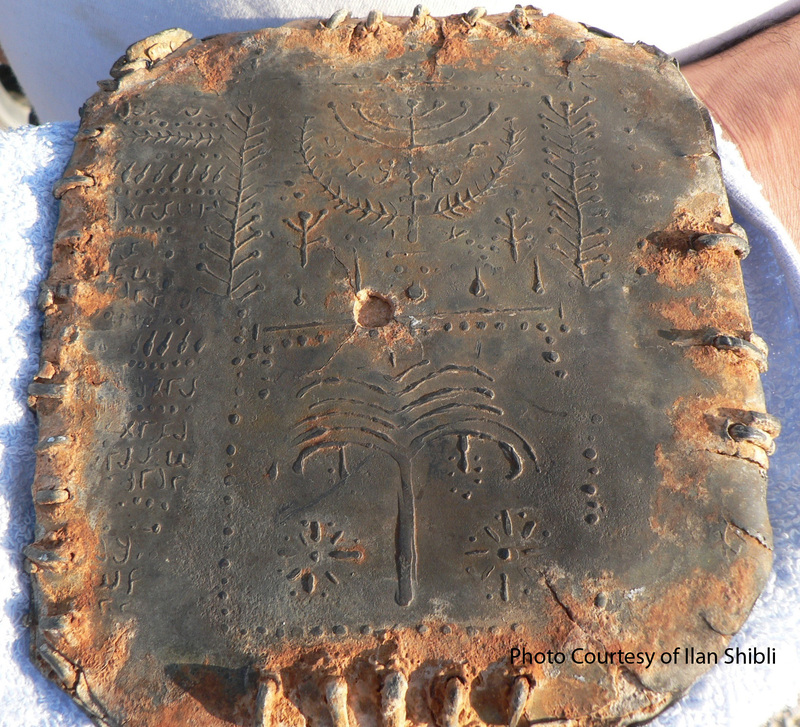 Some have posited that it’s still possible that some plates are authentic. 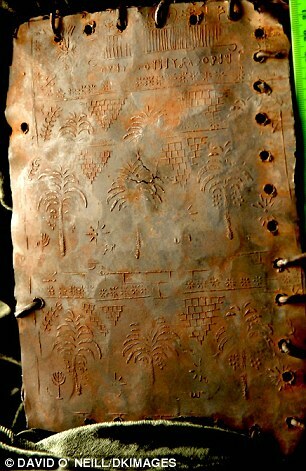 Perhaps the copper plate was simply copied from authentic ones. While it’s certainly not totally outside the realm of possibility, a number of considerations mitigate the plausibility. First, it strains credulity to think that someone with authentic ancient codices would decide to go through the time and effort of producing fake ones to supplement the hoard, and then only publicize the fake codices. Second, we’ve seen no indication any plates have different origins. The notion that any are original is nothing more than wishful thinking. 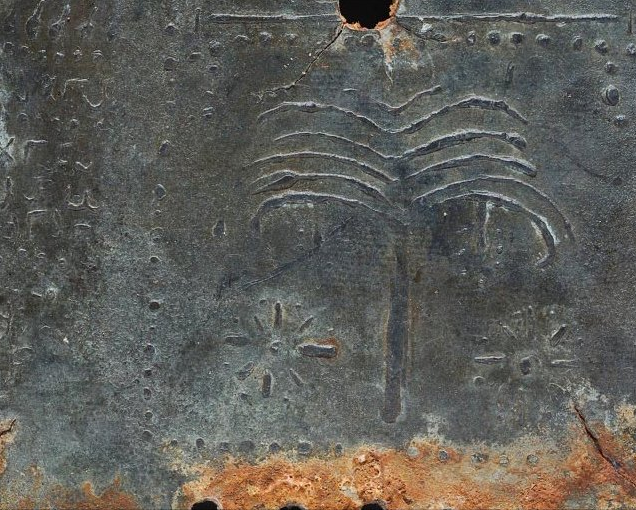 David Elkington’s credibility has been severely undermined by the fact that he hasn’t come froward on his own about Thonemann’s find, and is sharing photos of other codices that are clearly related to the copper ones. His story also changes with each new article. Additionally, he is omitting from the publicity photos those qualities which pointed to forgery for Thonemann. No Greek writing is being shown. In fact, few of the photos show any kind of writing at all, unlike the earlier photos, and those that do show a much, much more cryptic script, perhaps intended to avoid the kind of embarrassing incident that happened with Thonemann? The changes in the collection also seem to indicate someone altered the plates after Thonemann’s analysis. Is Elkington in on the forgery? He doesn’t appear to be an innocent middleman who believes the codices to be authentic. He didn’t raise a stink when Thonemann told him his copper codex was bogus. Does Elkington stand to profit from the plates? Elkington doesn’t want to sell them, and is playing up that point. If he tried to sell them they could very easily be discovered as fake. However, he does have a book that may soon come out. He’s apparently been trying unsuccessfully to find a publisher. What better publicity could he produce by throwing the media a bone like this? if he’s just trying to sell books, the codices never have to see the light of day. In fact, the more intrigue and mystery he can produce, the more books he can sell. Is it a coincidence that we’re suddenly being told by the Telegraph that he’s been shot at by some Indiana Jones-like brotherhood trying to protect the codices from the world. In light of these considerations, the burden of proof must lie exclusively with those who wish to assert any of these plates are authentic, and until some scientific analysis can show anything ancient is connected with these plates, I see no reason to give the question of their authenticity a second glance. UPDATE: A gallery of all the photos released of the lead codices can be found here. 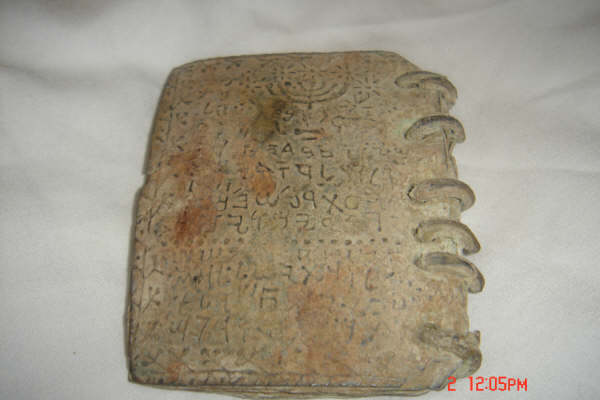 I’ve seen come comments here and there wondering if we can draw conclusions about the new lead codices with their paleo-Hebrew script based on the judgments passed on the old copper plate analyzed by Thonemann (with its Greek script). I discussed this in the comment section of my previous post on the topic, but thought I would highlight the question in its own post. Besides the numerous reasons Elkington’s credibility has been eradicated, at least one portion of the copper plate analyzed by Thonemann was pressed or cast from the exact same die or mold as one of the lead plates currently making the rounds. 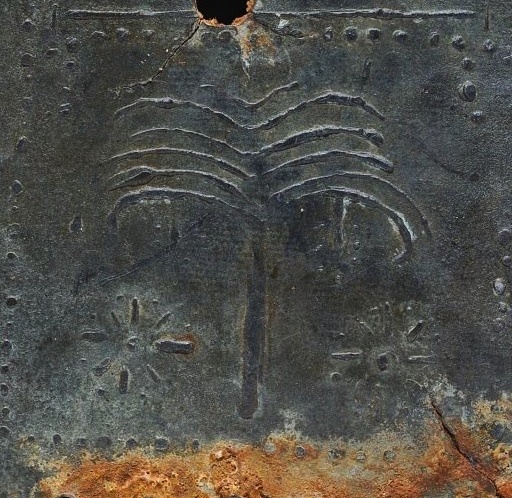 Below you can see the tree from the old copper plate and the tree from one of the newer lead plates. They are absolutely identical. They came from the exact same die or mold. 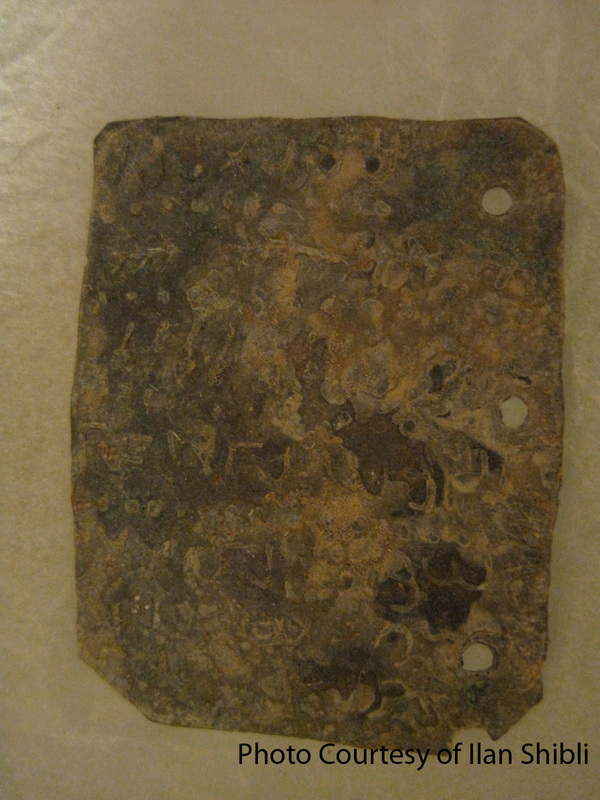 The lead plates are forgeries just like the copper plate. UPDATE: Here’s a photo provided by the Daily Mail of one of the guys involved with the codices. 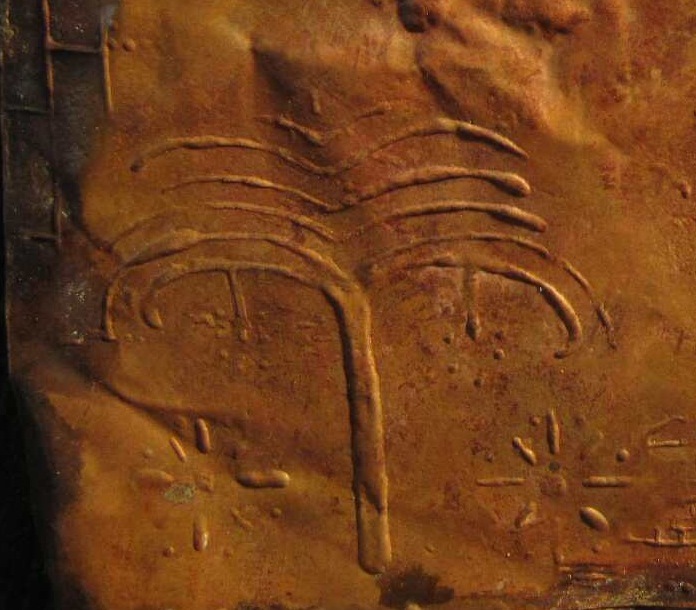 The codex standing up and in the middle appears to be the same as the lead one pictured above with the same tree on it as the old copper codex. In relation to a discovery that I have been investigating in the Middle East I was given your email address by a friend […]. I am a biblical historian and specialist in the field of Christian and Hebrew origins. I’m working with Prof. Philip Davies of Sheffield University and Dr. Margaret Barker on a discovery that I made a few years back of a cache of ancient metal codices. 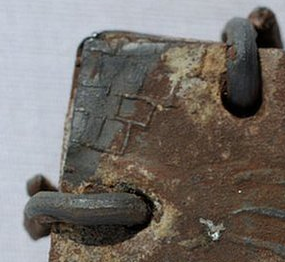 They are comprised of lead and of copper – it is one of the copper codices that brings me to you. We think that it has a possible origin in Alexandria at the beginning of the 1st millennium AD – (the Bedouin who brought them to me said that his father found them in northern Egypt). It has an inscription in Greek along the top. A putative investigation has failed to find the meaning, dialect or type of Greek used and we are seeking to find an expert who might help in determining what it says. Would you have the time and the knowledge to be able to help? If you can I would be terribly grateful – I could email you a photograph of the codex as soon as you would like, however I would very much like to discuss it in person if at all possible […]. As you will see, the ‘codex’ concerned is identical in fabric and design to the ones being touted on the BBC and elsewhere; the Greek lettering is very similar in style to the ‘Hebrew’ on the codices depicted on the BBC news website. 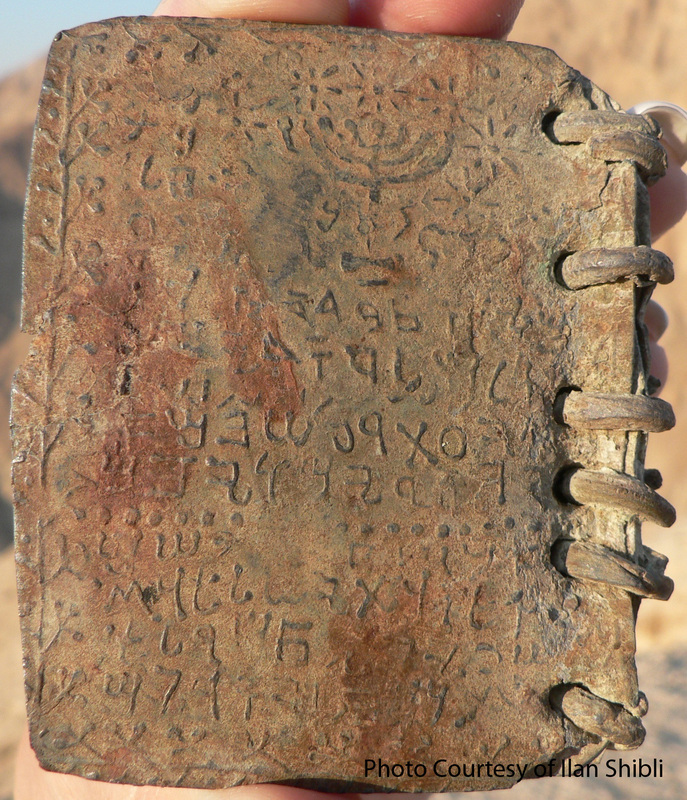 There can be no reasonable doubt that it forms part of the same ‘cache’ from the Jordanian desert (or Egypt) – note especially the metal ‘ties’ at the left of the last photograph. A surprisingly easy task, as it turns out! The Greek text at the top of your photo no. 0556 reads: ΛΛΥΠΕΧΛΙΡΕΛΒΓΛΡΟΚΛΙΕΙΣΙΩΝ, followed by ΛΛΥΠΕ in mirror-writing. The text was incised by someone who did not know the Greek language, since he does not distinguish between the letters lambda and alpha: both are simply represented, in each of the texts, by the shape Λ. The text literally means ‘without grief, farewell! Abgar also known as Eision’. This text, in isolation, is meaningless. ’For Selaman, excellent and harmless man, farewell! Abgar, also known as Eision, son of Monoathos, constructed this tomb for his excellent son (i.e. Selaman), in the third year of the province’. This is a stone tombstone from Madaba in Jordan, precisely dated to AD 108/9, on display in the Archaeological Museum in Amman. 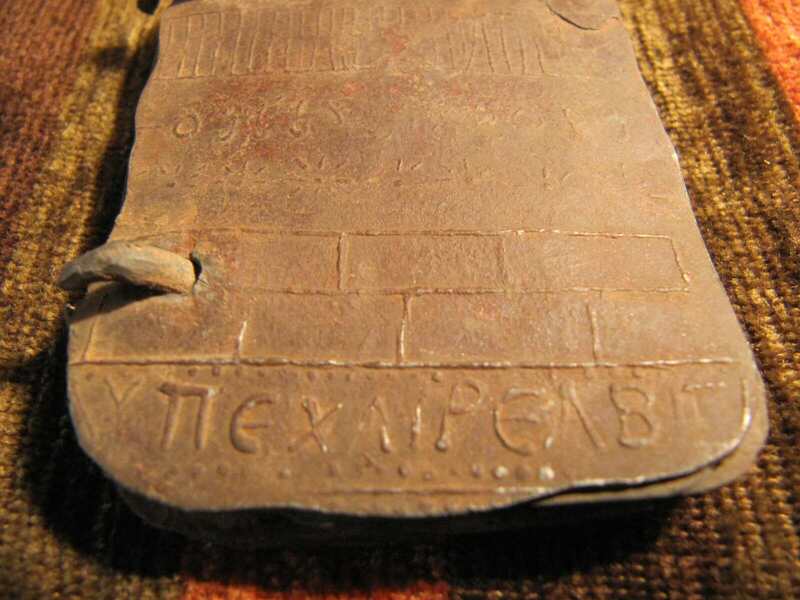 The text on your bronze tablet, therefore, makes no sense in its own right, but has been extracted unintelligently from another longer text (as if it were inscribed with the words: ‘t to be that is the question wheth’). The longer text from which it derives is a perfectly ordinary tombstone from Madaba in Jordan which happens to have been on display in the Amman museum for the past fifty years or so. 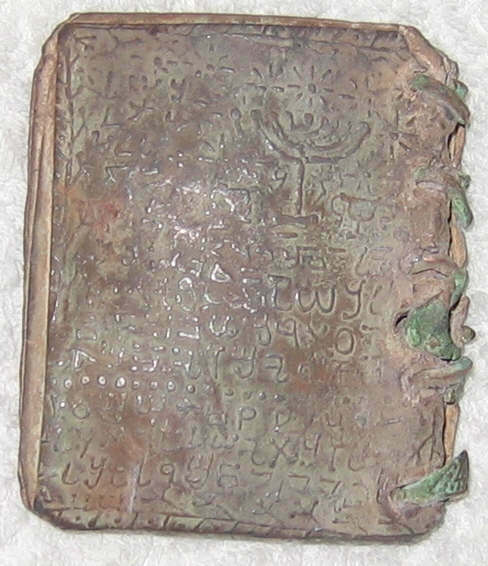 The text on your bronze tablet is repeated, in part, in three different places, meaningless in each case. 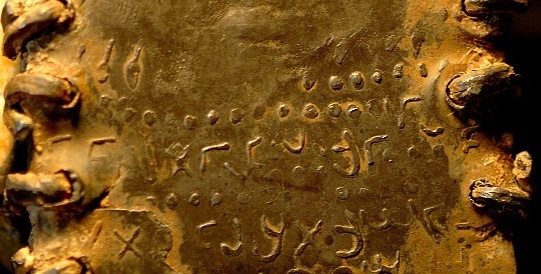 The only possible explanation is that the text on the bronze tablet was copied directly from the inscription in the museum at Amman by someone who did not understand the meaning of the text of the inscription, but was simply looking for a plausible-looking sequence of Greek letters to copy. He copied that sequence three times, in each case mixing up the letters alpha and lambda. 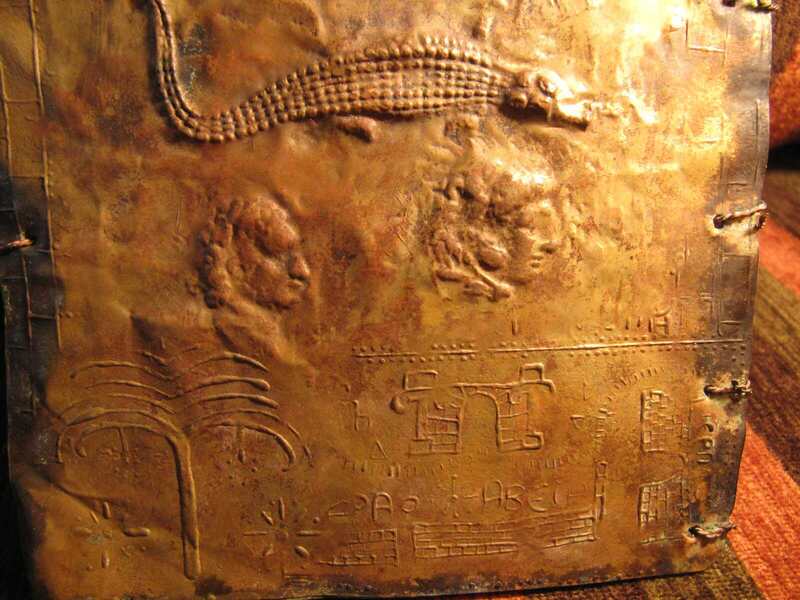 This particular bronze tablet is, therefore, a modern forgery, produced in Jordan within the last fifty years. I would stake my career on it. UPDATE: Between April 2 and 5 I updated the introduction to the email exchange and added the entirety of it. The original post on March 31 quoted only Thonemann’s response to Elkington’s email and stated that I could not verify the authenticity of the exchange.